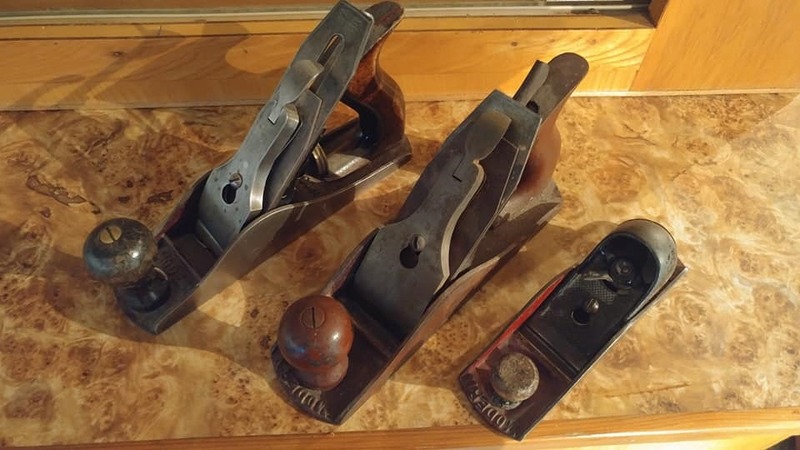 From the depths of the tool shelves I dug out these planes of which most have never heard. 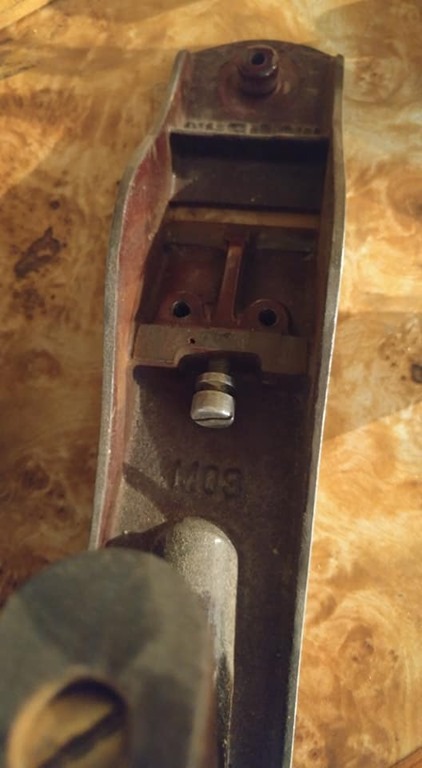 A M0220 M03 and M04. These were made by the Modern Grinder Company from Wisconsin. 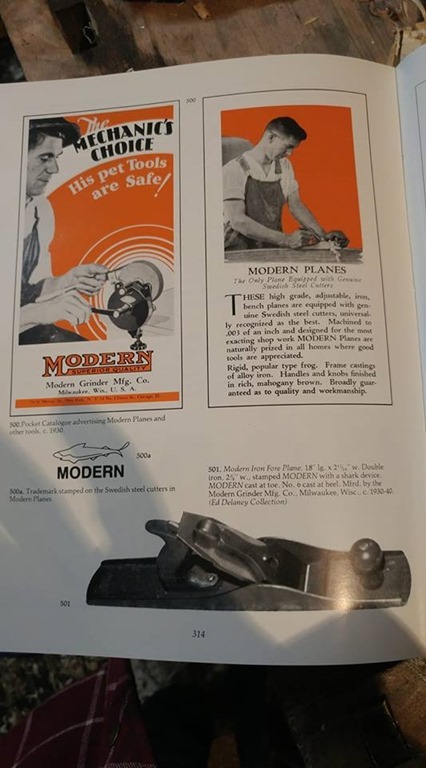 These planes are referred to in PTAMPIA Vol II on page 314. 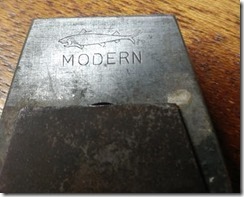 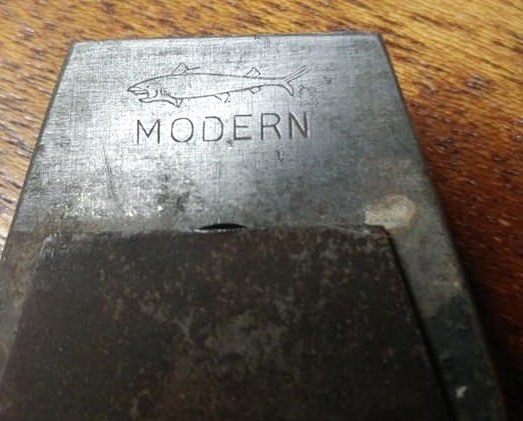 The interesting part of Modern is that all their planes came from the factory with EA Berg irons possibly the only North American manufacturer to use Berg irons with the Berg shark on the front of the iron and Made in Swede on the reverse. 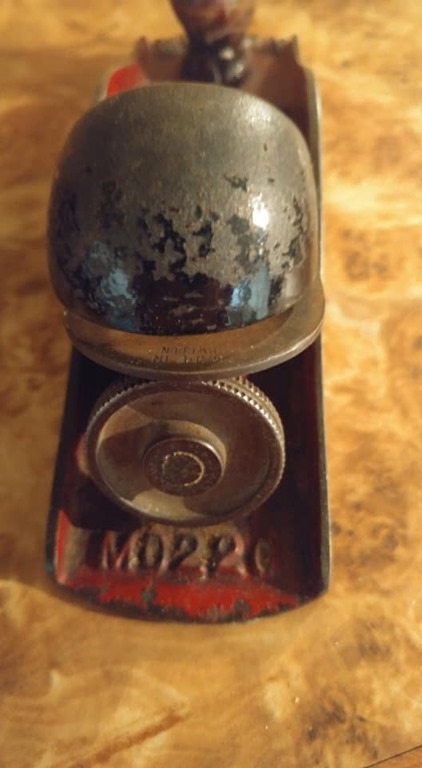 The 220 for whatever reason is opposite. 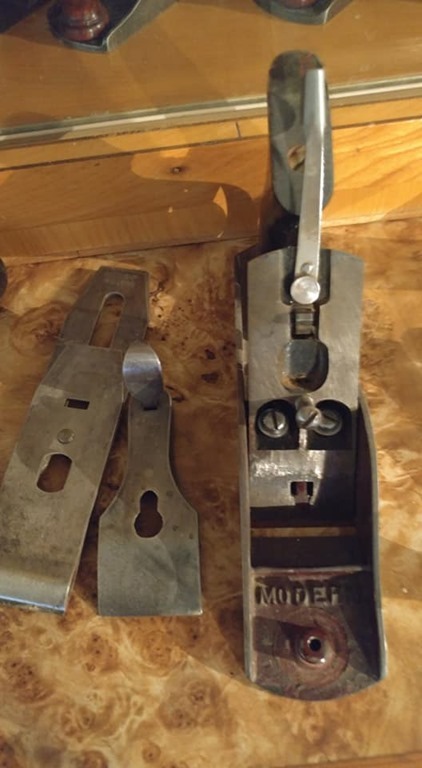 They were available in 3 to 7 sizes although I have get to see an example of the No 7 size and I haven’t seen any 1/2 sizes either. 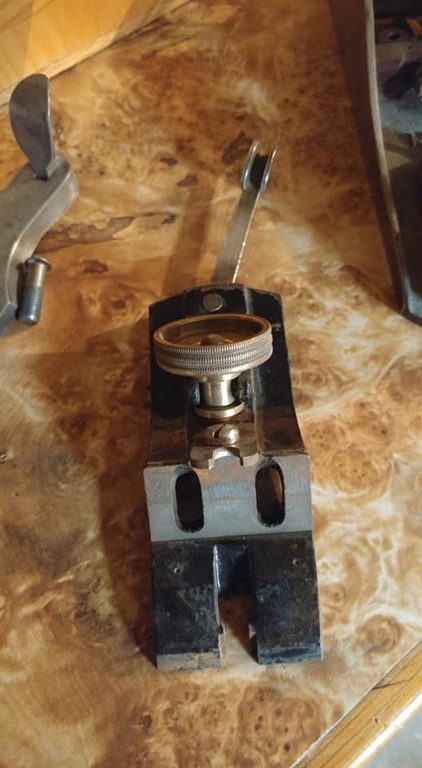 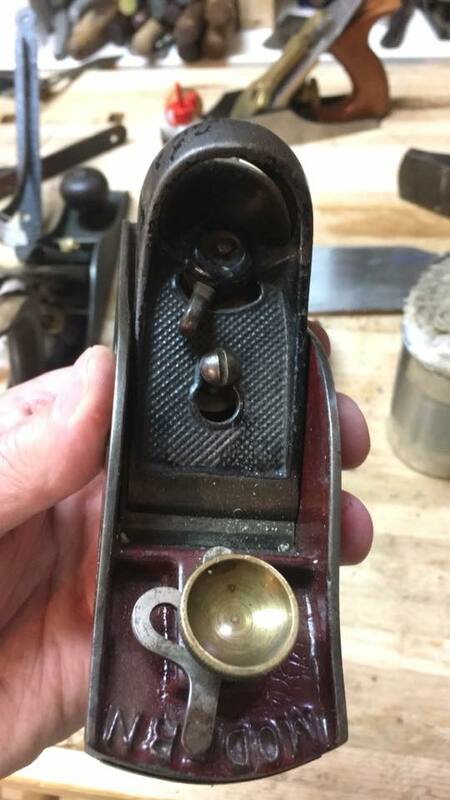 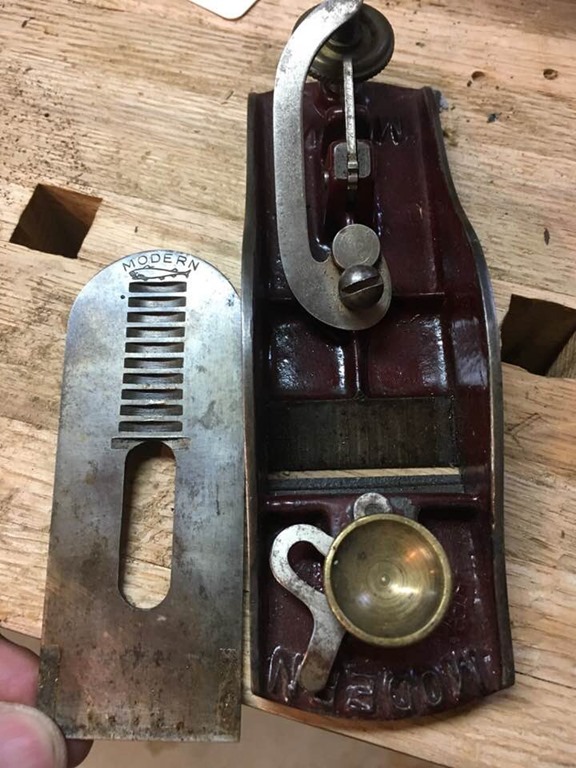 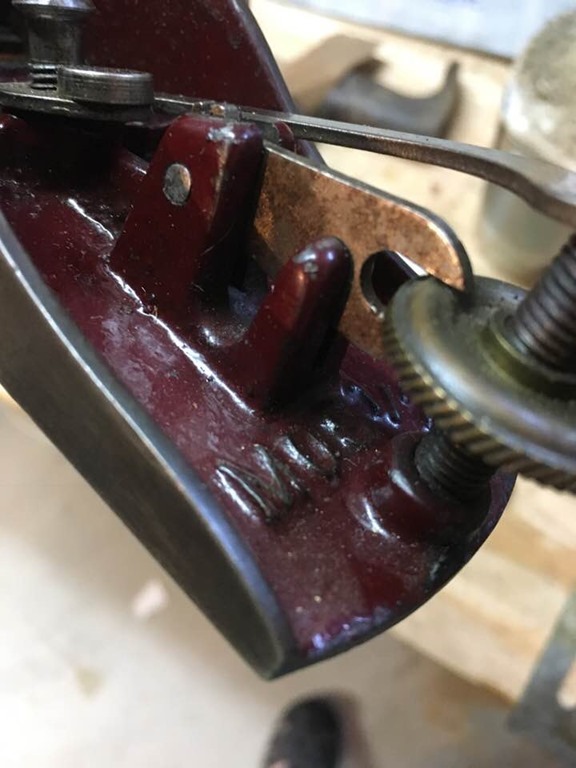 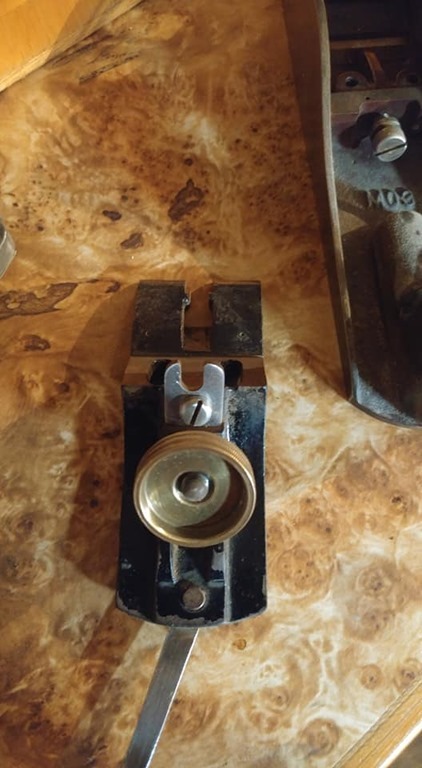 The 220 pictured here is the only block plane I have found stamped Modern but I would have to think that at the least they would have made a 110 style block plane. The 9 1/2 style block plane has been confirmed as seen in the final images. 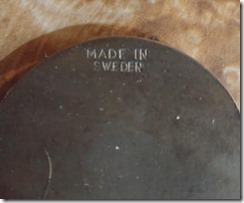 Manufacturing took place 1930 – 1940 so they had a short production run. 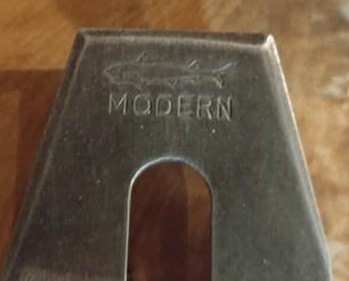 They can be found if you keep your eyes open so not rare and the great part is they are usually overlooked on yard sale tables as they don’t say Stanley on them. 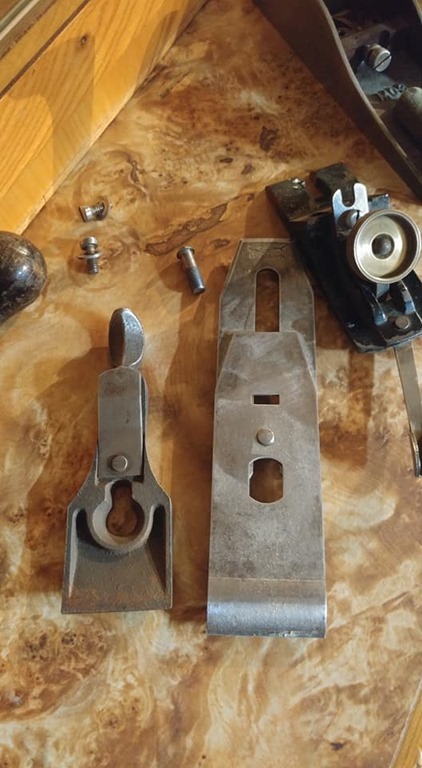 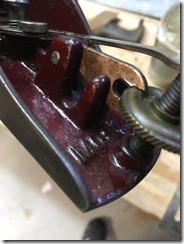 Much like Stanley they do have a frog adjuster and weight wise are quite similar to other manufacturers of the time. 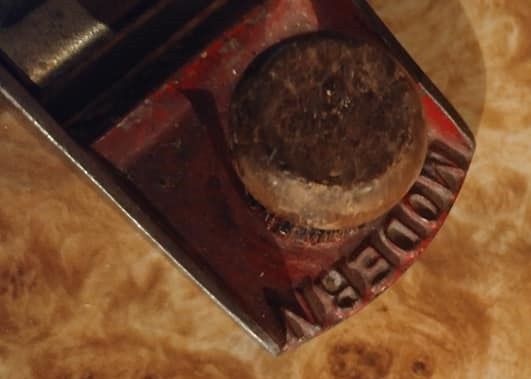 I haven’t sharpened an iron and tried it out yet but one day I will give it a shot and I expect I will be pleased with how they work. 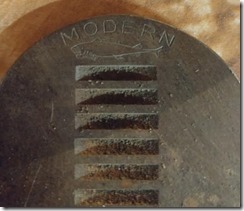 The Modern #09 1/2 is from the collection of Clay Thompson‎.